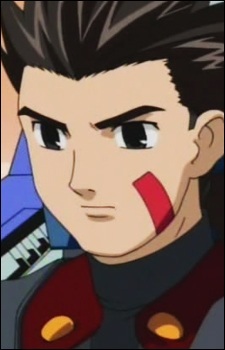 Van's dream is to one day become a great Zoid pilot like his father, Dan Flyheight. Van loves Zoids, seeing them not as tools of war but as partners to protect and assist people, and feels that their lives are worth something. Endowed with a spunky attitude and a strong sense of justice, Van aims to do what he feels is right and is always looking out for other people. He shows great loyalty to his friends Fiona, Irvine, Moonbay and his Organoid, Zeke, and will do anything to protect them. His open nature means that many people are attracted to him, and he enjoys a good challenge. Van starts out somewhat amateurish as a Zoid pilot, but as the series progresses his abilities as a pilot begin to grow. His specialty is close range combat, a feature that both the Shield Liger and the Blade Liger excel in.